Collins Booksellers - Crisis Management of Chronic Pollution by Magalie Lesueur Jannoyer, Philippe Cattan, Thierry Woignier & others, 9781315352442. Buy this book online. 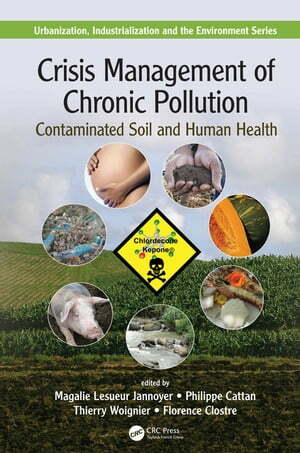 Crisis Management of Chronic Pollution: Contaminated Soil and Human Health deals with a long term pollution problem, generated by the former use of organochlorine pesticides. Through a case study of the chlordecone pollution in the French West Indies, the authors illustrate a global and systemic mobilization of research institutions and public services. This "management model", together with its major results, the approach and lessons to be learned, could be useful to other situations. This book gathers all the works that have been carried out over the last ten years or more and links them to decision makers’ actions and stakeholders’ expectations. This reference fills a gap in the literature on chronic pollution.